If having a new baby means sleepless nights coupled with seemingly unending screaming for hours on end, chances are high that your little one could be suffering from colic. And it’s safe to say that colic in babies can be a very distressing time for you and your little one. Looking after a newborn is hard enough, as you work hard to get to know them (and they you) and to decipher their cries so that you can meet their needs. But having your baby scream and cry for hours at a time can be very hard to deal with, and upsetting for all concerned too. Please rest assured that you are not alone, and that there are indeed natural remedies you can try to help your baby with colic. How do you know it’s colic? Colic usually occurs between the ages of around three weeks to three months of age, and usually takes place in the late afternoon, evening or at night. Classic symptoms of colic include baby being hard to comfort (when through the day you are able to easily comfort and settle them) and appearing to be in pain or discomfort. Of course, the continuous crying is often the most telling of symptoms, and the one that has most parents tearing their hair out in an attempt to soothe. There are theories that suggest colic is caused by air bubbles trapped in the baby’s immature digestive system, which cause baby pain and discomfort. Some doctors will recommend keeping baby upright after feeds and ensuring you wind baby thoroughly to try and relieve trapped wind. Some parents will tell you that very little seems to comfort them at all. How can I tell if my baby has colic? ● baby pulls their legs up to the chest, tightens abdomen muscles and clenches their fists. Babies face may also appear red and contorted in pain. Be aware that while all babies cry- that’s how they communicate, after all- excessive crying is not usual and is worth investigating. If you are sure that baby is clean, warm, fed and rested but still crying a lot them there is a very good chance colic is to blame. 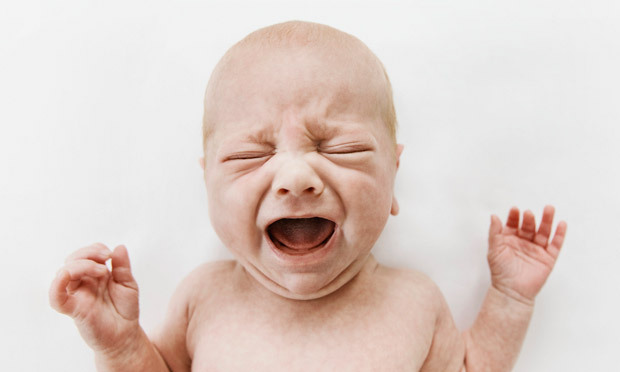 Colic can be a frightening time for new parents, particularly if you’re unable to soothe baby. Seeing your child in pain is not a pleasant experience, and feeling helpless can lead to frustration and upset. But it’s worth mentioning here that colic is not caused by you having done anything wrong. And it does help to talk to other parents who are going through similar- it’s estimated that colic affects nearly 25% of all babies in the UK, so you are not alone, even if it feels otherwise. ● Homeopathy. Such remedies have been used for over two centuries, and with very good reason too. They work. For colic, Magnesia Phosphorica (Mag Phos) is most commonly recommended because it has a soothing effect on cramps. One tablet dissolved in milk and given to baby straight after a feed can offer huge relief from pain and discomfort, and for babies that are breastfed mother can take two tablets three times a day (after meals) so ensure that the remedy is passed to baby through the milk. ● Diet. A mother’s breastfeeding diet is essential in helping to ease baby’s symptoms of colic, and is often the first thing we think of in such cases. Although there really isn’t a known list of foods that should be eliminated from the mother’s diet, there are some foods that are commonly known to aggravate colic and should therefore be avoided. These include dairy, eggs, nuts, soya, caffeine and gluten. Spicy foods are also thought to be best avoided and some women swear that too many carbohydrates such as bread and pasta can also make baby a little more unsettled too. Drinking chamomile tea is a wonderful way to ease symptoms of colic, as it is passed through to baby through the milk and is known for its soothing properties. ● Herbal tea. Studies have found that herbal teas containing chamomile, fennel and lemon balm can significantly reduce symptoms of colic and it’s easy to make a similar version with chamomile and fennel yourself at home. Place half a teaspoon of the herbs in one cup on boiling water. Cover and steep for five to ten minutes, then strain. Once cool you can give baby a few teaspoons. Additionally, breastfeeding mothers can drink the tea and pass the benefits on to baby through the milk. ● Babywearing. Studies have long since shown that babies who are carried upright and close to a parent tend to cry less. Babywearing means carrying baby for long periods of time throughout the day, and it is this that reaps the benefits, rather than short periods of carrying baby to soothe them. Babywearing parents tend to carry their infants for several hours a day, before baby begins to cry and fuss. There is a theory that babies with colic display these symptoms due to disorganised biorhythms that were once regulated by the mother’s body during pregnancy. Once on the outside, these biorhythms are disrupted, but babywearing allows for a reconnection to occur. Babywearing helps to emulate conditions in the womb by providing warmth and security and many believe that it can be hugely beneficial for babies suffering with colic. ● Avoid over stimulation. Some babies cannot cope with too much going on around them and find that excessive noise, lights and action leads to feelings of being unable to relax and unwind. Make sure that you provide lots of calm space for your baby to feel secure and confident during the day, and at night. ● See a chiropractor. Many parents believe that misalignment suffered during labour and birth can cause symptoms of colic, and a chiropractor is able to help with this. Make sure that your chiropractor has worked with infants before, as adjustments should only be very slight. None the less, treatment can help to ease pain and discomfort and make colic less likely too. ● Baby massage. We are huge advocates of baby massage, and truly believe that this is one wonderful way that you can help baby yourself at home. Baby massage can help to keep the digestive system working well and there are no expensive requirements either. Baby aromatherapy. Colic can be treated quite effectively by blending aromatherapy with baby massage oil. Add one teaspoon of organic sunflower oil to one drop of dill essential oil. Blend together and warm in the palm of your hand before applying to baby’s tummy during massage. Dill is well known for its abilities to ease indigestion and gastric upsets.